Soft, fluffy, powdery snow, where you can dive and float, as is suspended by adrenaline and emotions. 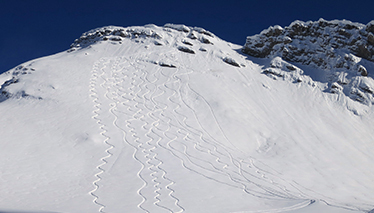 Discover the thousand possibilities freeride skiing offers for skiing pristine and immaculate slopes. Avalanche transceiver, shovel and probe will be your allies, along with other devices such as airbags and avalung. 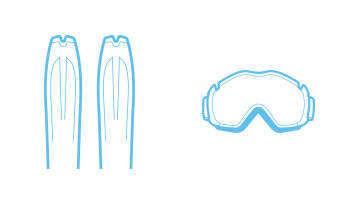 Naturally, you’ll have a pair of innovative, wider skis. To know and try. To make turns smooth and fast, for fun downhill always offering different sensations and stylistic techniques. What more could you ask for? 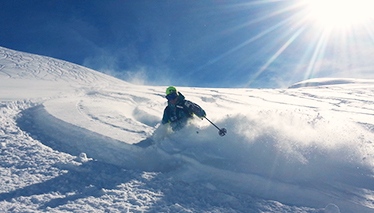 Safety and innovation, to draw breathtaking waves, in the middle of vaporous and exciting puffs of snow. Sinuos traces to leave your signature in an exclusive, untouched natural environment! Where everything is nature, between woods and fairytale landscapes! 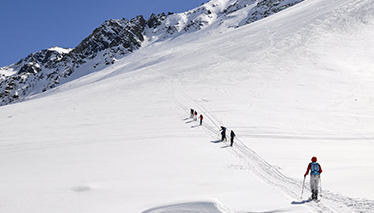 Custom programs for one or more days on skis, together with our Alpine Guides, Valle d’Aosta, Piemonte, Switzerland or France. 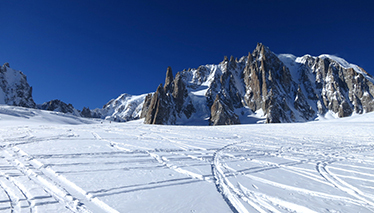 To discover always new itineraries, different for all categories of skiers, from beginners to experts. 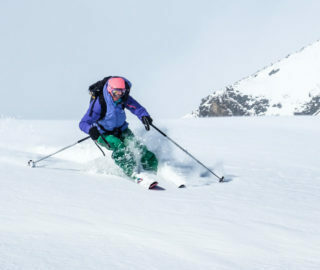 From the solitary ski mountaineer to the steep ski enthusiast. 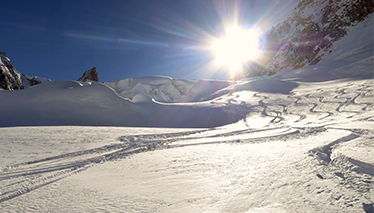 Programs for groups and families in off-piste or on itineraries with the most beautiful and fun snow.